Justia Ask a Lawyer Answered Questions by Richard Carl Perry Jr. Questions Answered by Richard Carl Perry Jr.
Alabama has a habitual offender which applies to felonies. It does not sound like you have a felony so you should not have anything to worry about. Q: Malicious Charge Filing. 1st Degree Felony Theft of Property ($6,000) Need An Opinion. In these types of cases, the state is actually the one who brings the charges and prosecutes. It is very likely in your case that the prosecutor would go before the grand jury in order to secure an indictment. If the grand jury issues an indictment, you would be arrested and expected to defend the case. If the grand jury does not return an indictment, this would result in a no bill and the case would likely die. Q: What is the age of majority in alabama? The age of majority is 19 in the State of Alabama. However, you can become emancipated at the age of 18 in some instances which gives you the rights as if you had already attained the age of majority. Q: What rights for alimony do I have as full time student,not working,1 child.? There are several factors that come into play when arguing for alimony. What is the length of the marriage? The longer you have been married, the greater your chances of getting alimony. Of course, this is not the only thing to consider. What is your spouse's level of education, or, what kind of work does he do? In addition to this, how much is his income? This goes to the spouse's ability to pay. Another factor is how long you have been in school? Q: Can I ask for a extention of the Alimony payments since it will take longer to graduate College and be able to findjob? You can always petition the Court to ask them to extend alimony payments. In order to be successful, you will have to show that there is a need and that the individual has the ability to pay. Of course, your argument would be that he has been able to pay, thus far, and that he should be able to continue paying. Q: My daughter and I live in Az, my ex Al. Can he sign away his parental rights in Al and not pay support? Q: When does guardianship terminate? Is it temporary guardianship? It would probably be a little easier to help you if you were able to provide a little more information. Give me a call to discuss your concerns. I would be happy to talk to you. Q: In the state of alabama how old do you have to be to move out? You are considered to be a minor until you reach the age of 19 in the State of Alabama. However, depending on the circumstances, you may be emancipated at the age of 18. Give me a call to discuss your situation. I would be happy to help. Call an attorney to discuss your concerns. Most do not charge an initial consultation fee. I would be happy to discuss your legal concerns with you. Give me a call. Yes, you can report it. You would either contact the police department and file a report or go to the Court and speak to someone in the prosecutor's / DA's office. Q: Can I relinquish rights to adopted children? Yes, you can file a petition to terminate your rights. However, if the children depend on your for any type of child support, it would be a pretty tough to succeed. 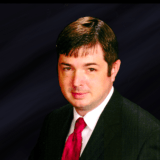 I have represented hundreds of family law cases across the State of Alabama and would be happy to discuss your legal options with you. Feel free to give me a call. Q: Can I file lawsuit against a city, after signing a waiver that I wouldn't? Q: How long does the state have to give you to dispute lab results? I could. It just depends on the type of charge the state decides to pursue. If you want to give me a call to discuss your case, I would be happy to talk to you. Q: How can I find out when the grand jury meets in my county? Call the DAs office and ask the next time the grand jury will meet. Q: I was awarded temporary custody of my granchild in alabama but daughter the mother of child fled to florida with child. If you have a Court Order granting you custody of your grandchild, you should immediately contact the police or the DAs office. Your daughter has committed kidnapping and the authorities can take care of this for you. Q: If I want to file for an uncontested divorce where can I get the forms for free? Q: Does a man have to pay alimony to wife if they have been separated 5 years and they get a divorce ? Q: My husband beat me the whole marriage plus some. How do I go about not letting him know where I stay now or my phone #? The only reason you would have to let him know where you live or your telephone number is if there are children involved. He has a right to know where his children are and he has the right to talk to them on the telephone. However, there are safety nets in place if the abuse is continuing to happen. If you have questions and concerns, feel free to give me a call. I would be happy to discuss your case with you. Q: Should i invite my father, who had disowned me as a daugher, to my high school graduation? he's currently divorcing mom. This is a touchy subject. In a typical settlement agreement, the Plaintiff and Defendant agree to keep the other notified of any activities, such as graduation, that the children are involved in. If your parents have not yet gotten a divorce and dad is not invited to the graduation, he could always use this against mom. That does not necessarily mean that it would hurt mom, but once again, he could definitely try to use it against her.